Terra Forming Terra: What Does Death Feel Like? This data has obviously stood the test of time. The numbers are large enough to consider the percentages observed as statistically meaningful. As well, asking the victims for information has likely now become routine, but that was hardly true forty years ago. The obvious take home here is that in the face of eminent death the spirit steps briskly free of the body and essentially stands by while efforts are made to resurrect the victim. I should have understood this sooner. After all we have induced out of body experiences to begin with. We already know we can do just this. What then is the precise role of the physical brain in terms of human consciousness and intelligence? It certainly allows us to sense and act upon the physical. After that we are tiptoing around and the connection is not so obvious. On July 28, 1976, the monstrous Tangshan earthquake caused more than 240,000 fatalities and 160,000 serious injuries. Medical workers in China did case studies on the survivors, most of whom had been buried under the rubble of collapsed buildings, to try and find out whether they had near-death experiences, and if so, how they felt. The results were published in the journal Popular Medicine, Issue 5 (1993). Even stranger, close to half of the people had the feeling and awareness that their consciousness or soul had left their bodies. Some of the people equated this with “the soul coming out from the shell.” They stressed that they had felt their supernormal capabilities were in another dimension outside their bodies, and not inside their brains. They thought that their physical bodies neither had these abilities nor the ability to think. About one-quarter of those surveyed experienced encountering incorporeal beings, or ghosts. Most of these unsubstantial beings were their relatives who had passed away. It was as though they had gone together to another world and continued to live there. Or, they saw living friends or even strangers. It seemed like a reunion. These “ghost-like” figures were sometimes described as being in some sort of “light” form. Some people looked at them as having been “transformed” according to concepts in religion. From the survivors of the Tangshan earthquake, inquiring researchers came up with 81 useful survey interviews. They classified the experiences into 40 categories: looking back at one’s life, the separation of the consciousness and the body, feeling of weightlessness, feeling strangeness in one’s own body, feeling abnormal, the feeling of departing from the world, the feeling of one’s body being united with the universe, the feeling of time’s nonexistence, and many more. The majority of these people experienced two or more feelings at the same time. 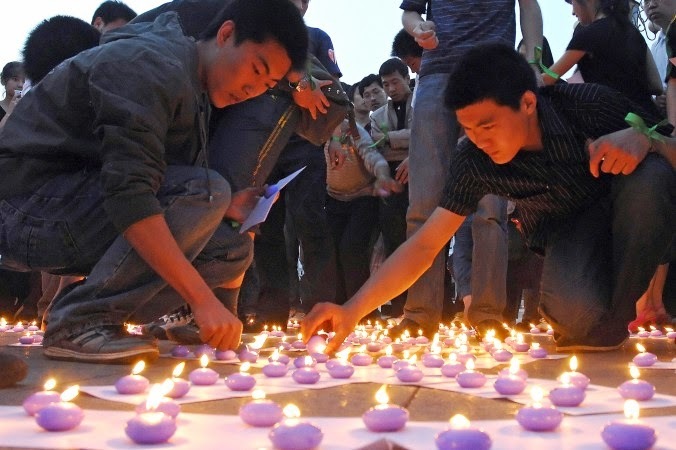 Although the survey of survivors of the horrible Tangshan earthquake produced only 81 usable case studies of those experiencing near death experiences, this is the most data collected among all the research on near death experiences in the world. After their “return from death,” most of these people remembered clearly their near death experiences even after ten or twenty years.